Minimalist and sleek. 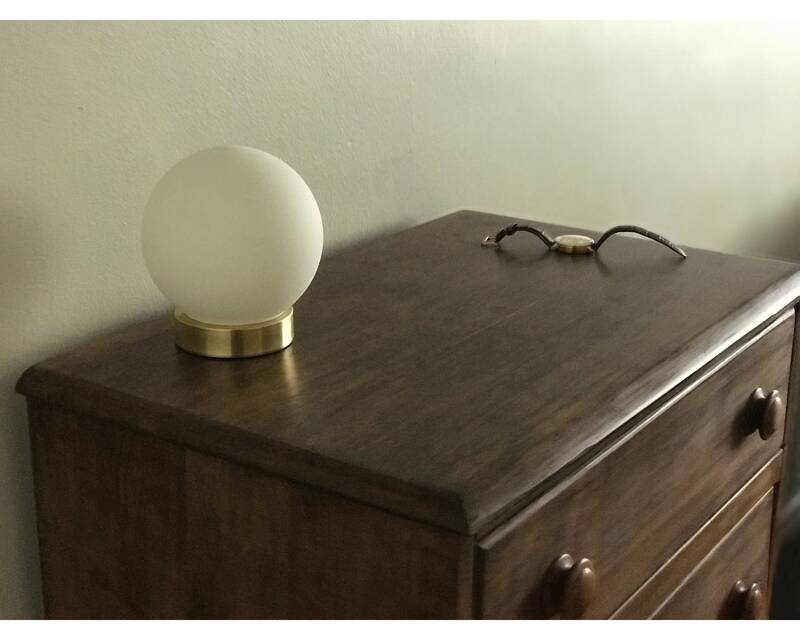 Round out your nightstand or side table with this handmade globe table lamp. 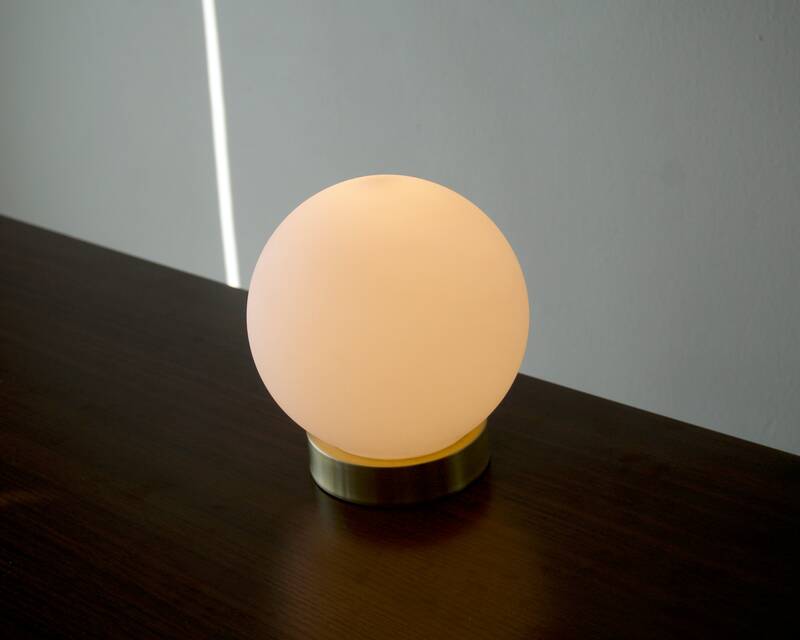 This switch-less design uses a touch sensor to control the light. 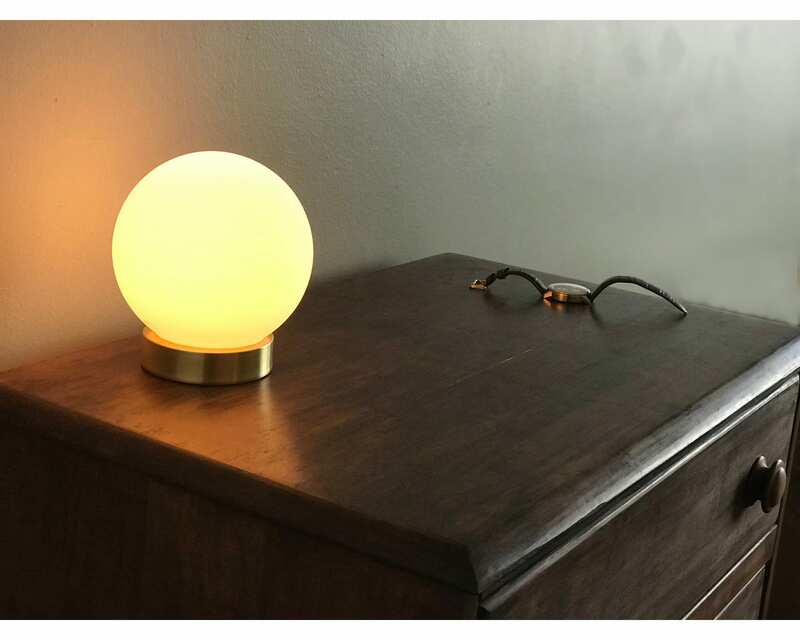 im absolutely in love with this lamp!! 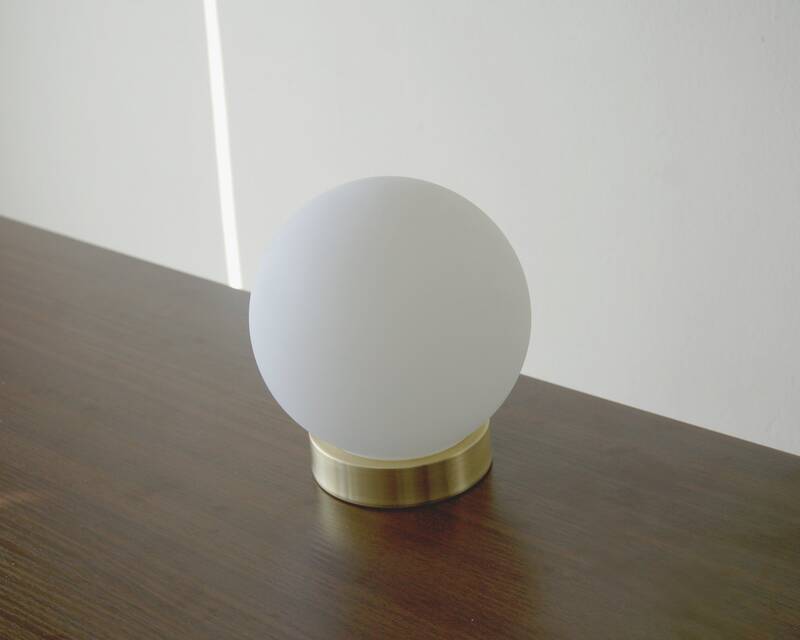 the quality feels very expensive and the dimmer is amazing for mood lighting. 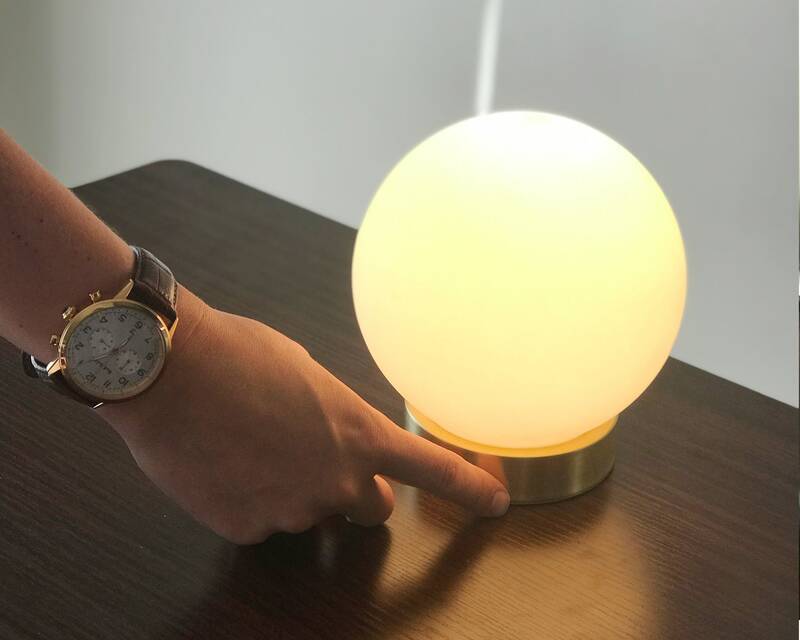 i put a color changing bulb (Lifx) in it and get so many compliments on the ambient lighting that fills the room.